Allergies in East Asian Medical theory is strongly tied to the immune system and the digestive system, seasonal allergies is often caused by the mother not breastfeeding and the mother not passing the immunoglobulins to educate the thyroid to have a proper immune adaptive capabilities to the environment and sometimes food. Regardless of the allergies, often fixing the relationship between the digestive system and the respiratory system can raise or boost the “wei qi” which is understood as the “protective energy” of the body to have a proper response to food and allergies. Allergies: by correcting the digestive system and improving the immune system through the theories of East Asian Medicine, I have developed a 10 session program to improving the signs and symptoms of allergies ranging from itching, burning, sneezing and inflammatory responses using a combination of acupuncture and cupping. Getting rid of dampness and phlegm by clearing passages in the sinuses using tea and herbal medicine. Also increasing breathing capacities by correcting posture allowing increased breathing capacities has shown to increase breathing functions by allowing the body to breathe without restrictions due to bad posture. Some seasonal Allergy patients often reduce or stop taking their over the counter medications. Or the signs and symptoms of allergies become not severe enough to take their meds. Food - Patients have shown significant decreases in the signs and symptoms of anaphylactic shocks related to food and is able to eat foods that they were once allergic to in some cases. Orthopedics - Neck, Shoulder, Upper/Mid/Lower Back, Hips, Knees, Ankle, Golfer/Tennis, Tennis, Spine (Cervical/Thoracic/Lumbar) Health, Rotator Cuff, Frozen Shoulder, Foot/Ankle, Disc Herniations, Post-Surgery Pain, Arthritis,Arthroplasty, TMJ. Correct Biostructural Gait and Posture to increase breathing capacity for increased awareness. Decrease inflammation - studies have shown that the extra blood attention especially to avascular areas i.e. joints the blood decreases the inflammation. 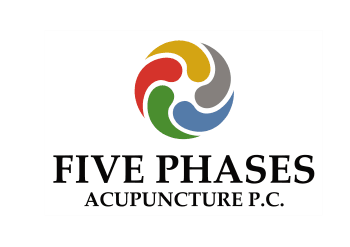 Decrease Pain - studies have shown that acupuncture before and after has shown the increase in endorphins thus able to decrease pain in the body. Acupuncture with electrical stimulation in my clinical practice has shown great results for hypertonicity of the muscles aka “knots.” The red part of the muscles are connected to the white part of the muscles known as tendons and the tendons are attached to the bones. Due to bad posture people develop muscles where they shouldn’t and grow weak where they shouldn’t as well. Sitting and the rise of computers and cell phones bad posture is becoming a fast epidemic. Acupuncture - Research from China, Korea, Japan and Scandinavia shows that patients get better faster, perform better in self-care, requires less nursing and rehabilitation. Patients who receive acupuncture care early as possible and some cases after 2 weeks shows significant difference compared to patients who has had stroke over 6 months. Pre Surgery Preparation - Goal is is to reduce inflammation and increase circulation and flexibility before surgery for efficient recovery. Using an herbal regimen along with a dietary guideline 2 weeks prior to surgery to best prepare you for your orthopedic surgeries. Post Surgery Rehab - Scar Reduction program for all types of surgeries and scar tissue reduction has shown to reduce post surgical pain that needs pain management after physical therapy rehab.